Roger practices corporate and commercial litigation in the Delaware Court of Chancery, with a focus on mergers and acquisitions, contractual disputes, and issues of corporate governance and control. Before joining the firm, Roger served as a law clerk for Vice Chancellor J. Travis Laster in the Delaware Court of Chancery. 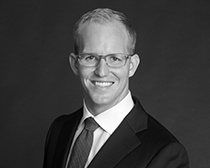 Roger began his career as a corporate litigation associate at Potter Anderson & Corroon LLP.